"Roseanne" showrunner asks fans to look past Roseanne Barr's Hitler photo shoot, and, um, are you serious? Roseanne co-showrunner Bruce Helford has responded to the photos of Roseanne Barr making their way around the internet, and he’s hoping fans will look beyond the antics of the series star and namesake. But seriously? That seems like a big ask. While the photos, which also stirred controversy when they were first released, have caused many to call for a boycott of the ABC sitcom revival, Helford is asking fans to separate the show from its star’s political beliefs. Roseanne Barr dressed up as Hitler and pretended to eat burnt cookies out of the oven. 1. This is beyond disgusting. 2. How the heck did she get a new show after this? "I know that Roseanne is a very staunch supporter of Israel and she has said as much. I imagine there's probably some amount of parody involved and all that. I don't know the context of that so I wouldn't make a comment on it. My feeling is that people should just watch the show and judge it on its merits. Watch the show without the accompanying background noise," he told THR. "Everybody, including Roseanne, wanted the show to be balanced. When we talk about wanting to open a dialogue in America, that's something that the show does. We're not trying to perform brain surgery or cure cancer." "We all hoped that this would open a dialogue where people would start laughing at themselves a little bit, get a little less polarized and realize that this is a universal conversation. Lots of families find themselves divided on these issues. There's got to be a way to talk and still love each other the way that Roseanne and Jackie made their peace [in the revival's premiere]. And that's really what we want to have come out of it." While we can definitely understand Helford’s perspective as a showrunner, we just don’t think we can overlook Barr’s outrageously inappropriate antics and promotion of dangerous conspiracy theories. 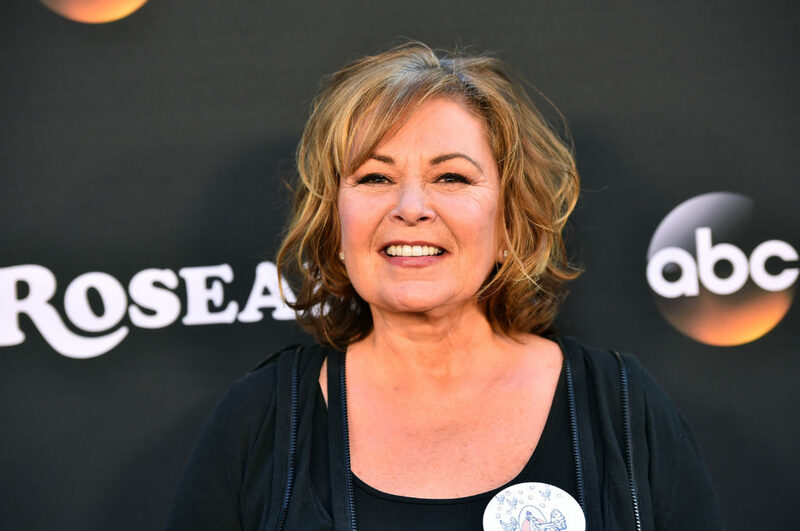 While Barr’s support of Trump has been difficult for many to digest, her promotion of conspiracy theories akin to the very-much debunked #Pizzagate is just too big for ABC and the producers of Roseanne to ignore themselves, let alone ask us to ignore. So, sorry, Helford, but we just won’t be able to follow your advice to separate the character from the actress.